Frame v.s. Wrap – Which is Better? 30 May Frame v.s. Wrap – Which is Better? For standard vehicle wraps (i.e. car, pickup truck, most vans, etc. ), it makes the most sense for wrapping companies to wrap the vehicle by applying the graphics directly to the surface of the vehicle. In some unique cases, it makes much more logical sense for us to wrap the surface of a vehicle by utilizing what is known as a ‘frame wrapping’ system. Let’s Talk Shop: Frame v.s. Wrap & Why? When we wrap a standard vehicle and apply the graphics directly to the surface of the vehicle, we get a nice conformed look that turns the vehicle into a rolling advertisement for years. Box trucks and trailers are generally pretty simple to wrap because there are minimal obstacles that could potentially complicate the installation process. Frame wraps are used when wrapping directly onto the surface is not cost effective or would not be visually pleasing. For example, a large housing developer that plans to change out the site banners frequently might choose a frame system over a direct vinyl wrap. Or, we might recommend that an older truck with an worn out surface use the frame system to disguise any imperfections in the surface of the vehicle. 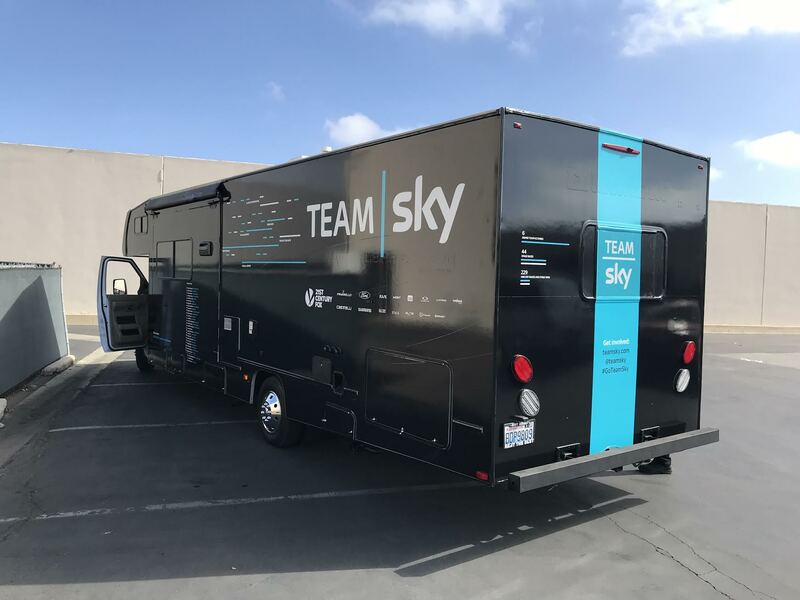 The initial cost of the frame system and banner on each side might be close in pricing to directly wrapping a large trailer. The frame simply presents options that allow this method of advertising to be even more versatile. At Full Sail Graphics & Marketing, we believe that being able to offer the best solution to all of our customer’s needs is a top priority. With over 50 years of combined experience in graphics and marketing, the Full Sail Graphics team is confident that we will deliver quality graphics on time and on budget. If you’re looking to invest in a versatile form of advertising, please feel free to give us a call at (714) 274-6706.